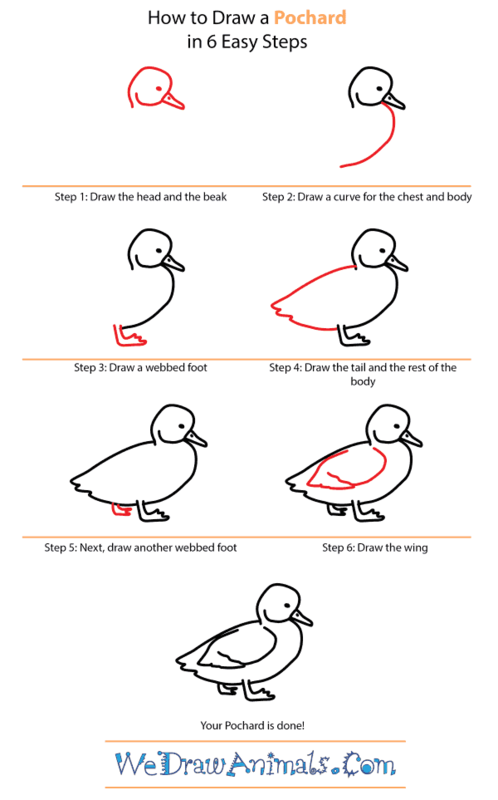 In this quick tutorial you'll learn how to draw a Pochard in 6 easy steps - great for kids and novice artists. At the bottom you can read some interesting facts about the Pochard. 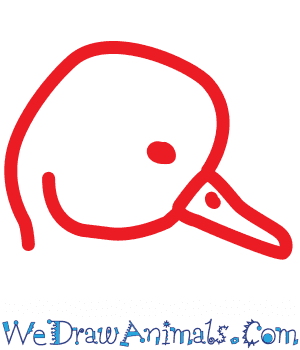 Step 1: Start off by drawing a circular head with a long, pointed beak and single beady eye. 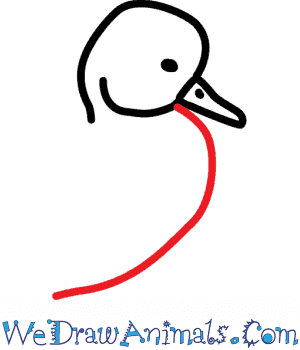 Step 2: At the front of the head, just beneath the beak, add a widely curved line for the belly. Step 3: Draw a webbed foot on the bottom of the body. Step 4: Use a long line to make the back of the body, and complete the body's design with a small, feathery tail. 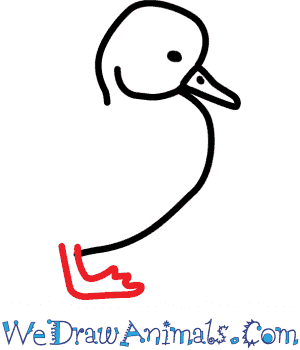 Step 5: Add one more webbed foot to the back of the body. 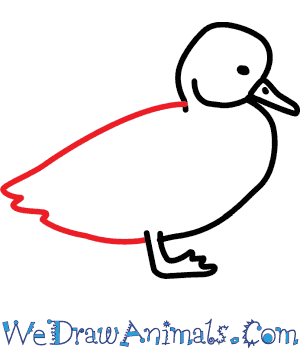 Step 6: Draw a large wing that will take up most of the side of the bird's body, and you're finished! Being found in England, the Pochard likes to spend its time in open lakes and gravel pits but are often found in water across the United Kingdom. They can also be found in Scotland. Males are very distinctive because of their red (almost burgundy) colored head and white body. Females have a brownish grey body. During a moult, you cannot tell the males from the females. They also live in Europe and Russia but go to England to escape the bitter cold of winter. 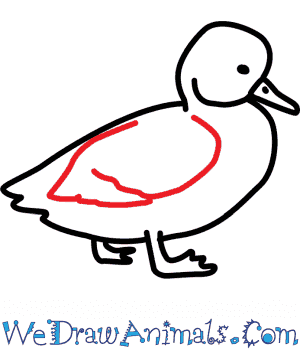 Lesson Plan Idea – Art class – have children pain their own versions of Pochards. Do not give them an outline. 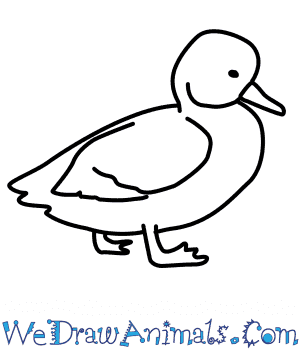 Allow them to paint or draw a Pochard in its natural habitat. Display in the hallway or classroom.